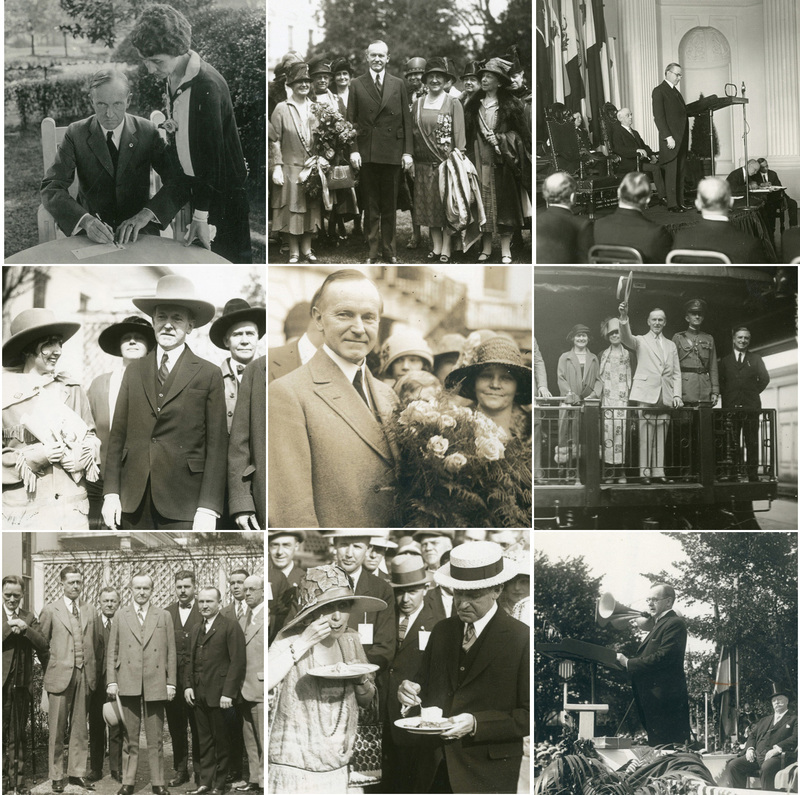 This digital collection contains a selection of photographs taken during the administration of Calvin Coolidge, thirtieth president of the United States, 1923-1929, from the Coolidge Family Papers held at the Vermont Historical Society. President Calvin Coolidge and an unidentified man walk along the Colonnade on the West Wing of the White House, December 30, 1925. First Lady Grace Coolidge at a garden party for disabled American veterans at Mount Alto Veterans Hospital, Washington, D.C., May 27, 1925.